We travel a lot, we work at home, and our kids use our family computer for homework projects, research and sometimes gaming or just watching YouTube. In our family, we need a travel ready, powerful, and fun family computer. That’s why we need a family computer that’s high performance, travels well, and that’s versatile and effortlessly adapts to our lifestyle. So, when I heard that Google released Pixelbook, the new high performance Chromebook with Pixelbook Pen, I was pretty excited to hear more! Turns out, there’s a lot to love about the new Pixelbook. Read on for six reasons a Google Pixelbook should be your next family computer. Get the Google Pixelbook today and save $100! Click here for details. We’re loving our little Google Mini with the Google Assistant, so it’s great that the new Pixelbook has Google Assistant as well. In fact, this Pixelbook is the first laptop with the Google Assistant built in! You can access the Google Assistant through the dedicated Google Assistant key on the keyboard, or just say the “Ok Google” wake word like you would on the Google Mini or Google Home. The Google Assistant requires an internet connection. We haven’t used a stylus much, but I’m loving the idea of the smart, responsive Pixelbook Pen stylus. To use, you just press and hold the button, then tap the pen on Pixelbook’s screen to get help from your Assistant. 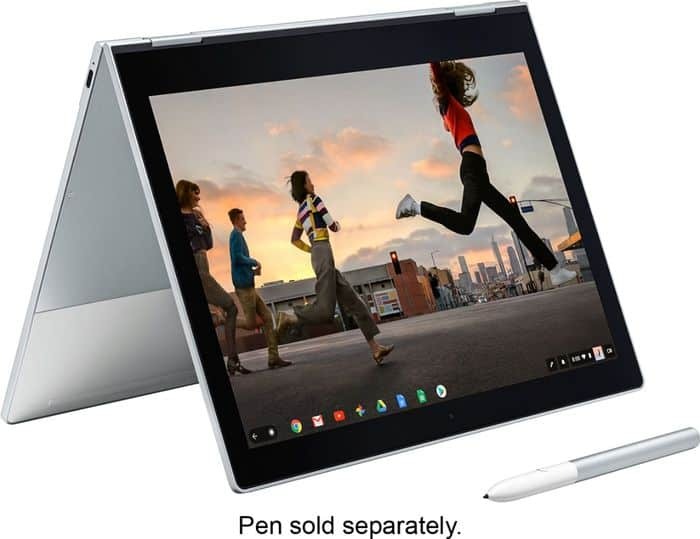 The Pixelbook Pen is sold as a separate accessory, and subject to availability. Since we travel so much, having a thin and lightweight family computer is a necessity. 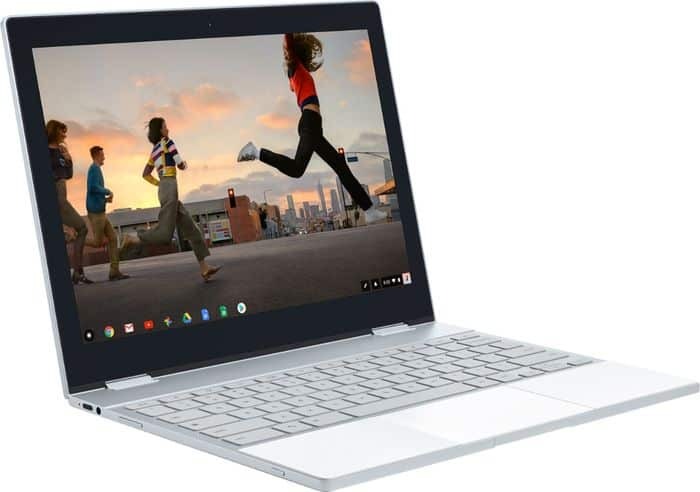 At just 10.3 mm, the Pixelbook is Google’s thinnest laptop ever, with a lightweight aluminum construction that enhances portability. Our home notebook needs to do double, and sometimes triple and quadruple duty. I use it for work and editing photos, hubby uses it for work and gaming, and the kids use it for homework, watching videos, and plenty more. Since the Pixelbook has a 360° touchscreen (see how you can swivel the screen around in the photos! ), it has a versatile 4-in-1 design that seamlessly adjusts to whatever we want it to do. That means we can use it to sketch or edit photos, stay productive with GSuite apps, and even enjoy on-or-offline access to movies and TV shows with apps like Google Play Movies and YouTube Red. There’s a lot going on under the hood too. 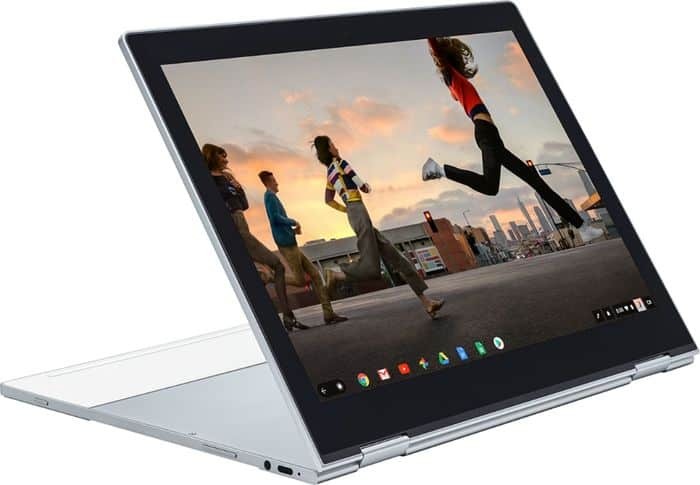 Since the Pixelbook using the Chrome OS, that means it has always have the latest security and features with software that automatically updates in the background. Even better, the Pixelbook is fast and ready to go: it starts up in under ten seconds, stays fast, and has a fast-charging, all-day battery that gives you up to ten hours of go from a single charge. Battery performance is based on a mix of standby, web browsing and other use. Since the Pixelbook is powered by Google, there are plenty of apps for work and play. That means we can do what we love with apps like Google Drive, Docs, Sheets, Slides, Gmail, Photos and more. Tip! You can download your favorites from YouTube Red and Google Play Movies to enjoy even without Wi-Fi. Get the Google Pixelbook today and save $100!